Watch the Archive of Booklist’s 2019 Carnegie Webinar! Continue reading "Watch the Archive of Booklist’s 2019 Carnegie Webinar!" Register for the Booklist Carnegie Shortlist Webinar! Continue reading "Register for the Booklist Carnegie Shortlist Webinar!" Continue reading "Watch the Archive of Our Spring 2019 Staff Picks Webinar"
Register for Booklist’s Cookbook Webinar! Continue reading "Register for Booklist’s Cookbook Webinar!" LibraryReads is a librarian-driven venture where public library staff can help build word-of-mouth for new books. On 4/3 at 1pm CT, hear from us, along with representatives from HarperCollins and W. W. Norton, about forthcoming titles perfect for public libraries and for your LibraryReads nominations. Click to Register for the Free Webinar. Continue reading "Register for Booklist’s LibraryReads Webinar"
Register for Our Staff Picks Booklist Webinar! 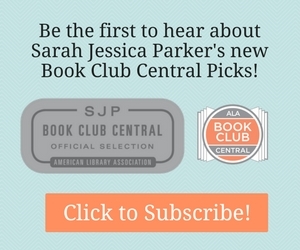 Continue reading "Register for Our Staff Picks Booklist Webinar!" Booklist Webinar: What’s Cooking at Your Library? Join us for Booklist‘s free, hour-long webinar and hear about our appetizing new titles, as well as forthcoming cookbooks from Ingram, Sterling, and Workman. Click to Register. Continue reading "Booklist Webinar: What’s Cooking at Your Library?"